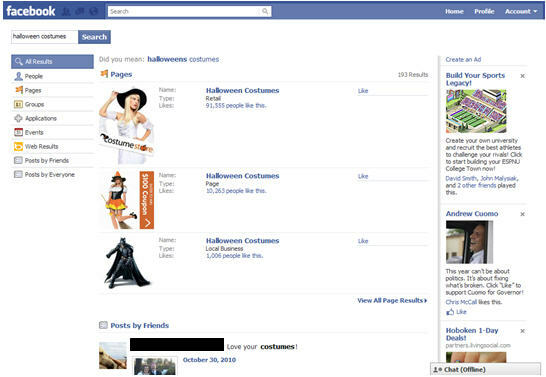 I have also been thinking a lot about Facebook’s open graph and how this brings search to social. 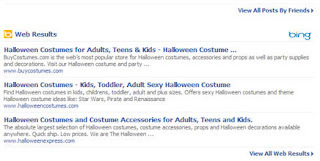 As a searcher AND someone who checks into Facebook daily, I realized I haven’t used Facebook to search and thought it was about time I gave it a try. 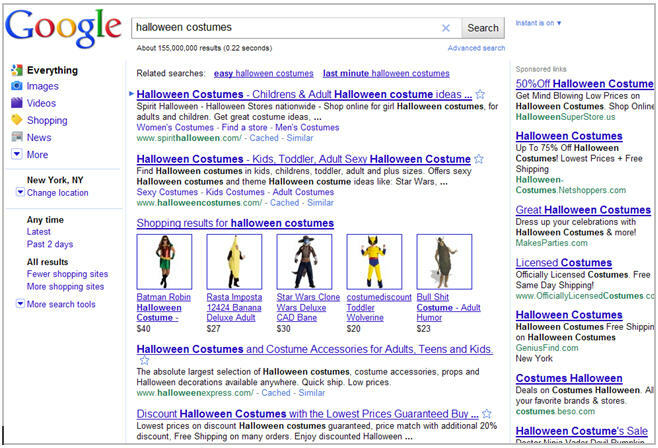 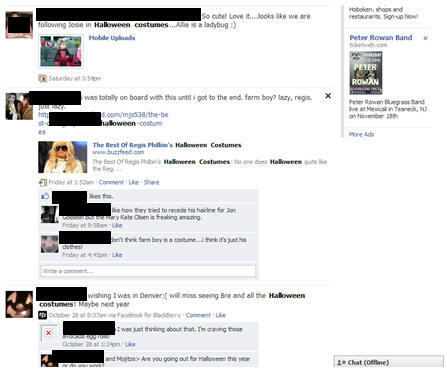 To be timely with the recent holiday, below are search results for ‘halloween costumes’ on google.com, bing.com and facebook.com. 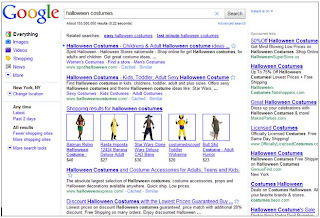 Let’s compare the results and ultimately determine if the social search engine is giving typical search engines a run for their money. 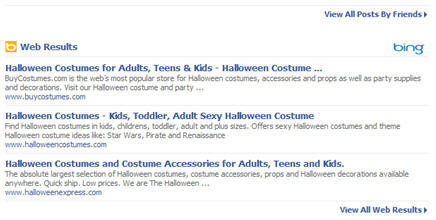 And what you can’t see below the fold: more Halloween shopping sites and news results for Halloween costumes. 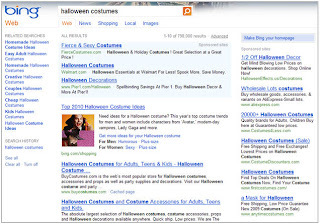 And what you can’t see below the fold: more Halloween shopping sites and a map for local listings of places selling Halloween costumes. 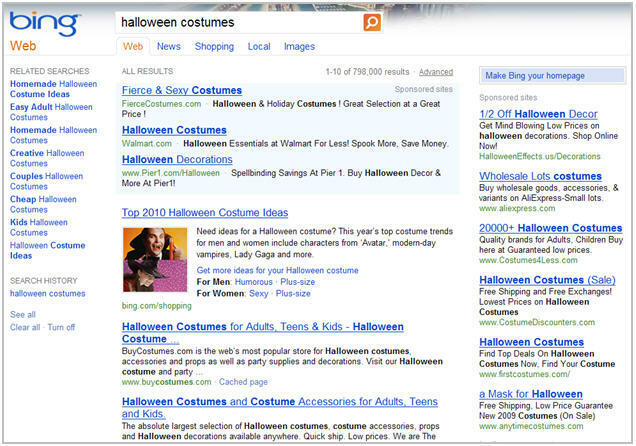 Give social search a try and let me know what you think!